It is interesting to remember when Ryanair and other airlines had a public presence, where the public could engage with the airline, face to face. Also to see Waterstones, which seemed to have a brief sojourn in Dawson Street, but was actually there about twenty years. I used to love that Waterstones. Was a regular visitor to it from 1999 to 2007 as I worked nearby on Grafton Street. It was where I bought all my Star Trek books. Granby Everyday Sausages, the staple diet of bus advertising! The first adverts inside the bus, that I remember as soon as I learnt to read, were for Granby sausages, that was more than half a century ago. I think similar ads were in the trams. This week we are going back eight years to 2008. 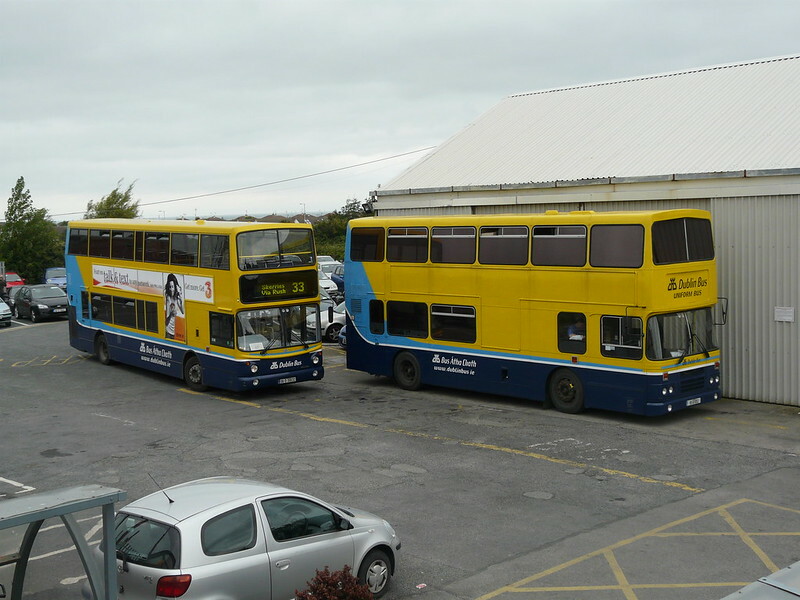 RV 397 is seen on Aston Quay at the 78A terminus after arriving in from Liffey Valley and Ballyfermot. Three years after this photograph was taken the route had merged with route 40 and extended to Finglas on the northside. The bus itself did not remain in service much longer. 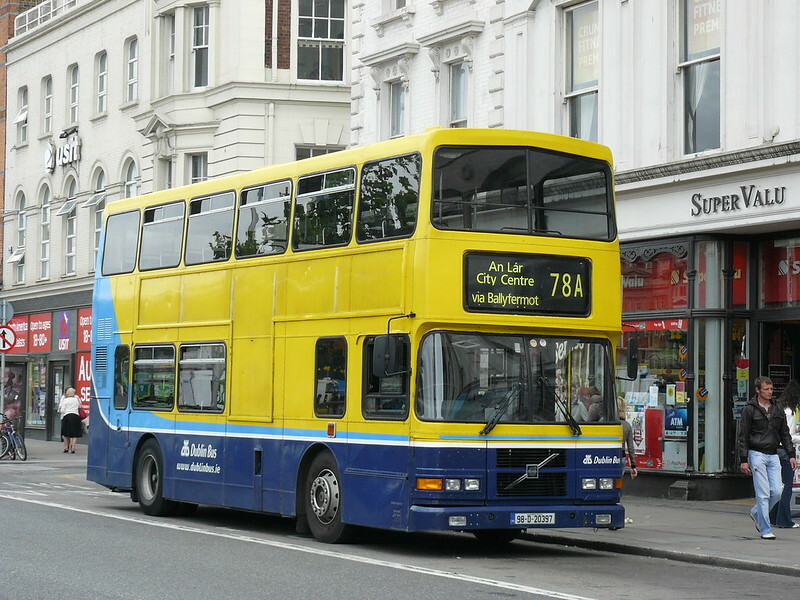 I remember the 48A well - sadly missed. The terminus was just around the corner on Hawkins street. If there where road works on Hawkins street the bus would sometimes terminate on Burgh quay. Also september 1990 was when I started in full time employment after college so I would be getting the 48A in and out of the city each day. Great memories and a great thread. And the original Luas works for good measure.